Once you've created your project on Kickstarter, you will need to give Prolific Works access to your project so we can transfer your work over to your campaign! 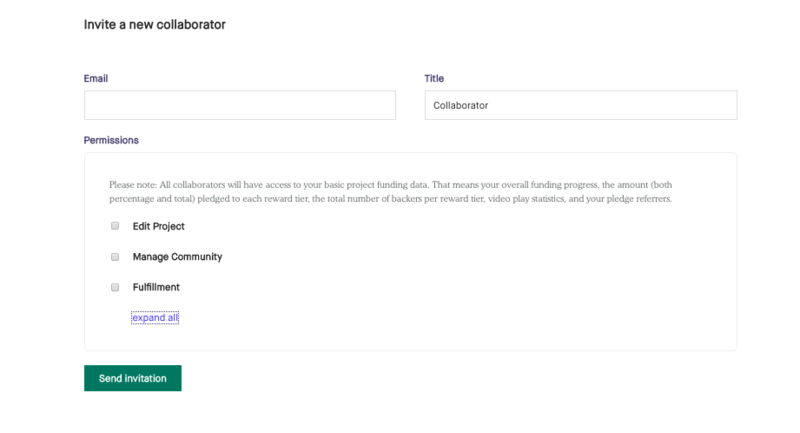 Here are instructions on how to add Prolific Works as a project collaborator to your campaign. 1. Go to the "Basics" tab. 2. 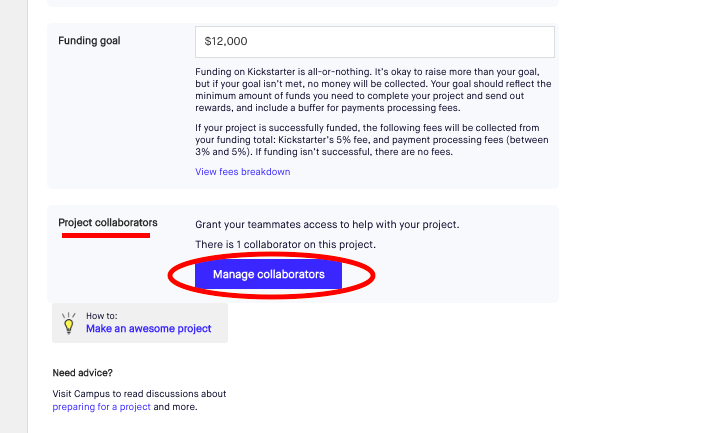 Click on the blue "Manage Collaborators" button in the "Project Collaborators" section. 3. This is what the page will look like. 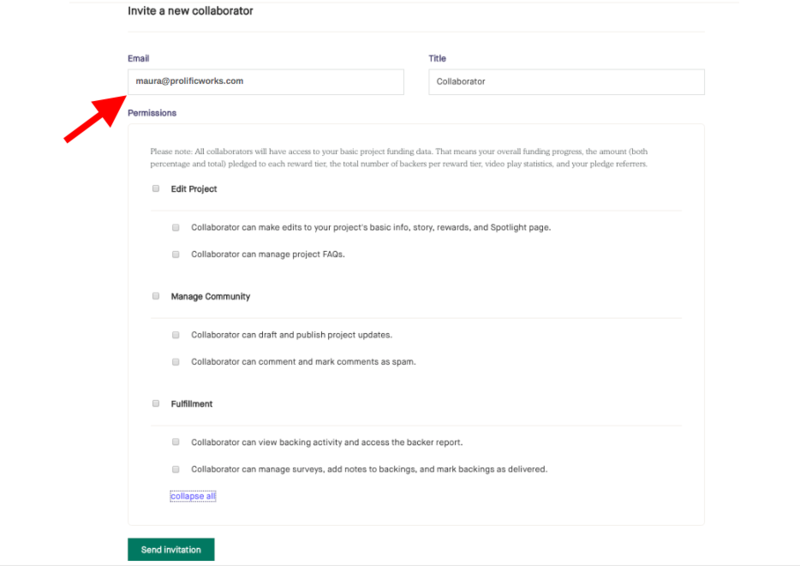 Go to the "Invite a new collaborator" section. 4. In this section, please enter this email: crowdfunding@prolificworks.com in the "email" box. 5. Below this in "Permissions", first click on "expand all" to see all the options. Then select all of the permissions. a. 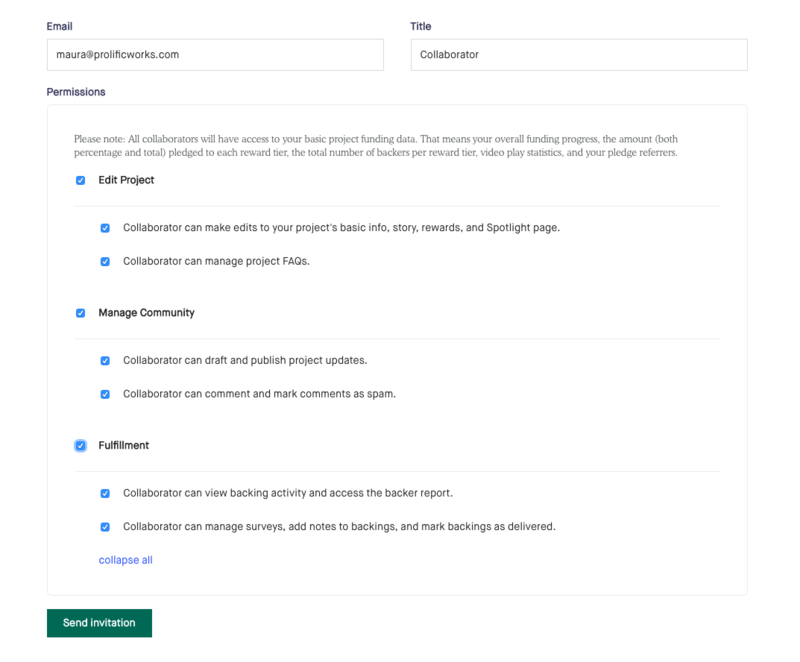 To select all the permissions under each general header ("Edit Project", "Manage Community", and "Fulfillment") just click on the box to the left of the header. All the permissions below this header will be checked off, so this saves some time when selecting everything! 6. Click the green "Send Invitation" button at the bottom of the page. 7. This is what it looks like when you've successfully sent the invitation! 8. This is what it looks like once Prolific Works has accepted the invitation!